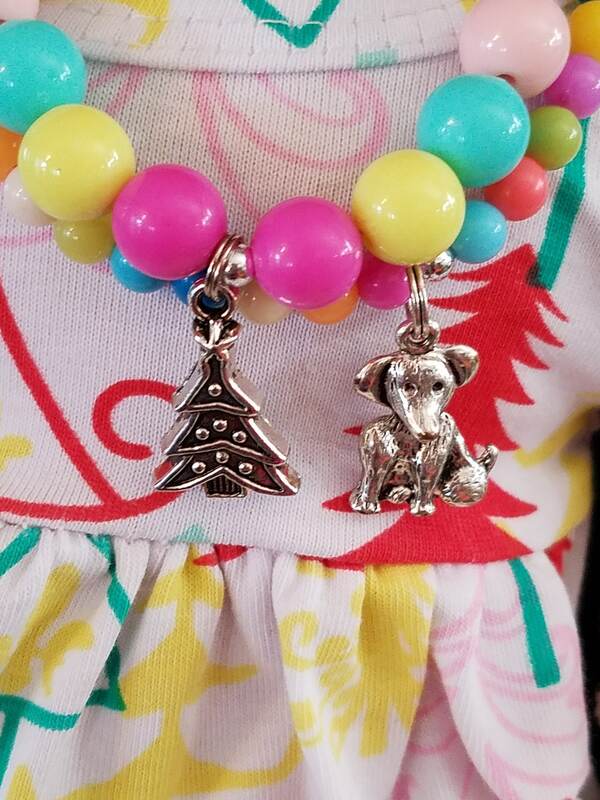 18 inch Doll Jewelry Puppy Necklace, Dog Doll Accessory, American Girl Doll Necklace for an 18 inch doll. 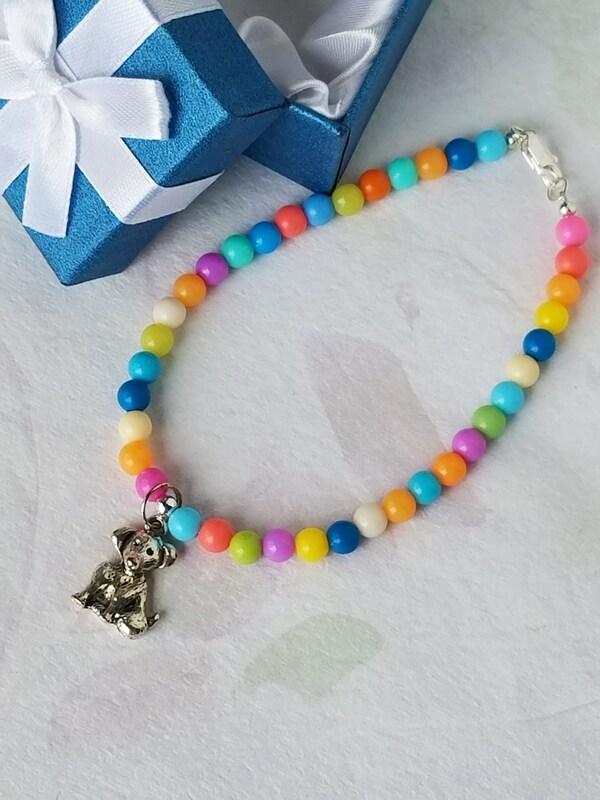 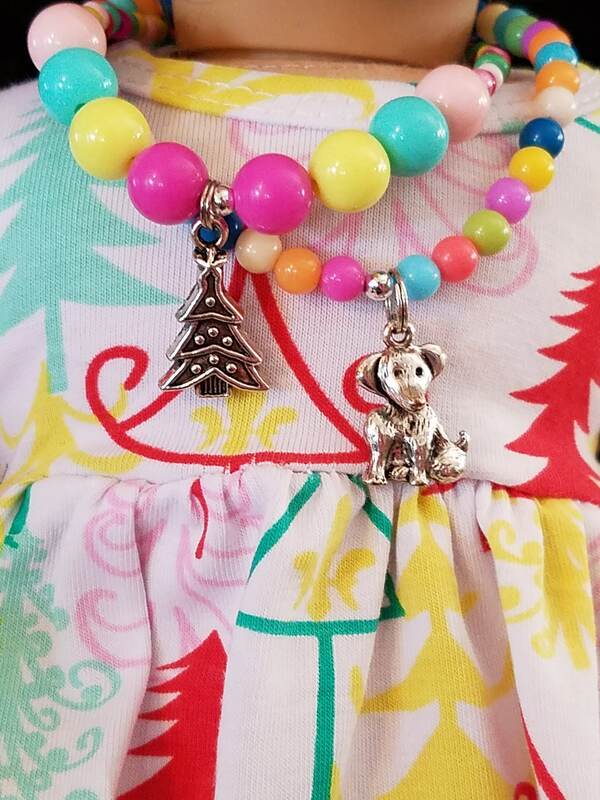 Doll Necklace, Dog Pendant. 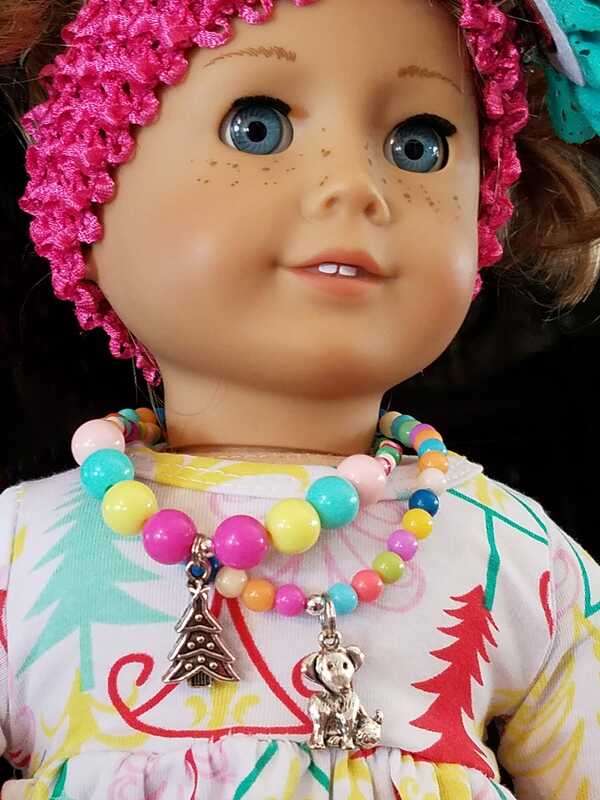 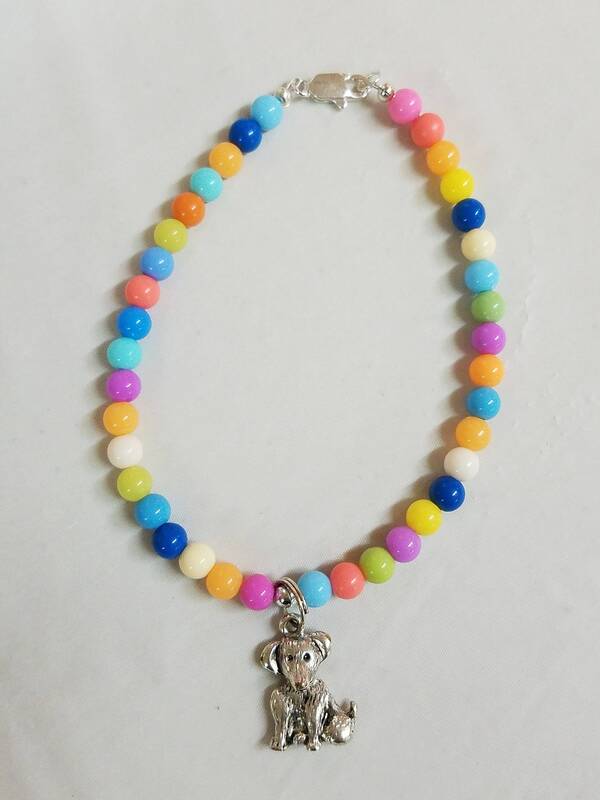 Beaded necklace mad to fit any 18" doll or a favorite stuffed friend.